Part of our make-up kit arsenal, the Bobbi Brown Corrector is exactly what our under eye circles have been begging for and for that reason we confidently give it the Zardozi Woman Approved stamp of approval. Every South Asian woman’s arch nemesis are her under eye circles. Whether you blame the genetics or the lack of sleep as a result of your total #girlboss attitude and late nights those bad boys are not going anywhere. So in the search for a flawless face we found the tool which makes everything look better. Meet Bobbi Brown and her corrector. 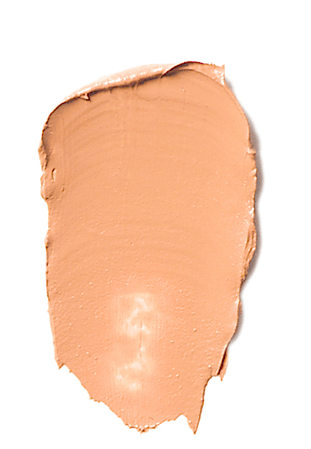 This creamy product is a wake up call for those tired eyes, working to correct, brighten and cover discoloration utilizing its Bisque (pink based) and Peach (peach based) formulas which neutralize under eye darkness/pigments in an instant. How to use this miracle corrector? The Bobbi Brown Corrector is perfect for daily wear or just for those days out when you need a little extra glam. Don’t believe us yet? Try it yourself for $25.00 and remember a little goes a long way so don’t get too generous! F*ckin’ awesome things here. I am very satisfied to see your article. Thanks so much and i’m looking forward to contact you. Will you kindly drop me a mail? Some genuinely nice and utilitarian info on this website, as well I conceive the style and design has got fantastic features. I really enjoy looking through on this web site , it contains good articles . “Violence commands both literature and life, and violence is always crude and distorted.” by Ellen Glasgow. Good day! This post could not be written anny better! Somebody necessarily lend a hand to make critically posts I would state. This is the first time I frequented your website page and to this point? I amazed with the analysis you made to make this actual publish amazing. Magnificent task! I simply wanted to write down a simple note to be able to appreciate you for all the wonderful suggestions you are giving out here. My rather long internet lookup has finally been honored with good quality facts to write about with my good friends. I ‘d suppose that most of us site visitors are quite endowed to exist in a useful website with very many wonderful individuals with valuable tips and hints. I feel rather happy to have used your website page and look forward to really more pleasurable moments reading here. Thanks a lot once again for everything. Valuable info. Lucky me I discovered your site by accident, and I am shocked why this coincidence didn’t took place in advance! I bookmarked it. Excellent website. A lot of useful information here. I’m sending it to several pals ans also sharing in delicious. And naturally, thanks on your sweat! Thanks, I’ve recently been looking for information about this subject for a while and yours is the greatest I’ve came upon so far. But, what about the bottom line? Are you certain about the source? Dead composed content , regards for selective information . I and my friends were looking at the good tricks on your web site then then got a terrible suspicion I never thanked the blog owner for them. Most of the women were definitely passionate to study all of them and have now in actuality been loving those things. Many thanks for indeed being well helpful as well as for having this sort of impressive subject areas millions of individuals are really eager to be aware of. My honest apologies for not expressing gratitude to sooner. Good – I should definitely pronounce, impressed with your website. I had no trouble navigating through all the tabs and related info ended up being truly simple to do to access. I recently found what I hoped for before you know it in the least. Reasonably unusual. Is likely to appreciate it for those who add forums or anything, site theme . a tones way for your client to communicate. Nice task. you’re in reality a just right webmaster. The site loading velocity is amazing. It kind of feels that you are doing any unique trick. Furthermore, The contents are masterpiece. you’ve done a great activity in this subject! Hello, Neat post. There is a problem along with your website in internet explorer, could check this… IE still is the marketplace leader and a big component to other folks will leave out your great writing because of this problem. I have been checking out some of your posts and i can claim pretty good stuff. I will surely bookmark your blog. hi!,I like your writing very a lot! percentage we be in contact extra approximately your article on AOL? I require a specialist on this area to unravel my problem. May be that is you! Having a look forward to peer you. you’re in reality a good webmaster. The site loading speed is incredible. It kind of feels that you are doing any unique trick. Also, The contents are masterwork. you’ve performed a wonderful process on this subject! Fantastic web site. A lot of useful information here. I am sending it to several pals ans also sharing in delicious. And naturally, thank you to your effort! I really wanted to write down a comment so as to appreciate you for those unique facts you are giving out here. My time consuming internet research has at the end of the day been rewarded with pleasant strategies to write about with my co-workers. I would express that many of us visitors actually are extremely blessed to dwell in a fantastic community with so many wonderful professionals with useful techniques. I feel really blessed to have come across your weblog and look forward to plenty of more enjoyable minutes reading here. Thanks a lot once again for a lot of things. Magnificent goods from you, man. I have understand your stuff previous to and you’re just too great. I really like what you’ve acquired here, really like what you are saying and the way in which you say it. You make it enjoyable and you still care for to keep it wise. I cant wait to read far more from you. This is really a great web site. Thanks a bunch for sharing this with all of us you actually recognise what you are talking about! Bookmarked. Kindly additionally visit my web site =). We can have a link change arrangement between us! It is really a great and helpful piece of info. I¡¦m satisfied that you just shared this helpful info with us. Please keep us up to date like this. Thank you for sharing. I went over this website and I conceive you have a lot of fantastic info, saved to fav (:. I’ve been surfing online more than three hours lately, yet I never discovered any attention-grabbing article like yours. It is lovely worth sufficient for me. Personally, if all web owners and bloggers made good content material as you did, the web shall be a lot more helpful than ever before. Thank you for any other informative website. The place else could I get that kind of information written in such an ideal means? I have a challenge that I’m just now operating on, and I’ve been at the look out for such info. Hello, Neat post. There’s a problem with your site in internet explorer, may check this… IE still is the marketplace leader and a big part of folks will pass over your excellent writing due to this problem. Thanks a lot for sharing this with all of us you really know what you are talking about! Bookmarked. Please additionally talk over with my site =). We may have a hyperlink alternate contract among us! I’m still learning from you, while I’m improving myself. I absolutely enjoy reading all that is posted on your website.Keep the posts coming. I loved it! I truly wanted to make a brief word to be able to say thanks to you for those marvelous tricks you are sharing at this site. My extended internet look up has finally been compensated with extremely good facts and strategies to go over with my good friends. I ‘d point out that many of us readers are unquestionably fortunate to be in a fantastic community with very many outstanding people with interesting advice. I feel truly blessed to have come across your entire webpage and look forward to tons of more enjoyable minutes reading here. Thanks a lot once more for a lot of things. Excellent post. I was checking constantly this blog and I’m impressed! Extremely helpful info specially the last part 🙂 I care for such info much. I was looking for this certain info for a long time. Thank you and best of luck. I have to point out my love for your generosity giving support to those people that must have guidance on your area. Your real commitment to getting the solution up and down had been remarkably insightful and have usually encouraged individuals like me to realize their targets. Your entire useful guide can mean so much to me and a whole lot more to my peers. Thanks a ton; from each one of us. You really make it seem really easy along with your presentation but I to find this topic to be actually something that I think I’d by no means understand. It kind of feels too complicated and very broad for me. I am looking forward in your next publish, I¡¦ll try to get the hang of it! Right here is the right webpage for anybody who would likme to understand thbis topic. Its like you read my mind! You seem to know a lot about this, like you wrote the book in it or something. I think that you can do with a few pics to drive the message home a little bit, but instead of that, this is fantastic blog. A great read. I will definitely be back. Magnificent web site. Plenty of useful information here. I’m sending it to some buddies ans also sharing in delicious. And obviously, thanks to your sweat! I wish to show thanks to this writer just for rescuing me from this type of problem. After scouting throughout the the net and obtaining strategies which were not powerful, I believed my life was gone. Existing devoid of the solutions to the problems you’ve sorted out by way of the short post is a critical case, and ones that would have in a wrong way affected my career if I had not discovered your web page. Your primary expertise and kindness in handling all the details was vital. I am not sure what I would have done if I had not come across such a step like this. I am able to now relish my future. Thanks a lot very much for this impressive and results-oriented help. I will not think twice to endorse your web sites to anybody who will need support on this subject.